Carwile Mechanical's service department is recognized nationally for employing only NATE-certified service technicians and installers. To find out what this means for the consumer, go to the NATE website for more information. 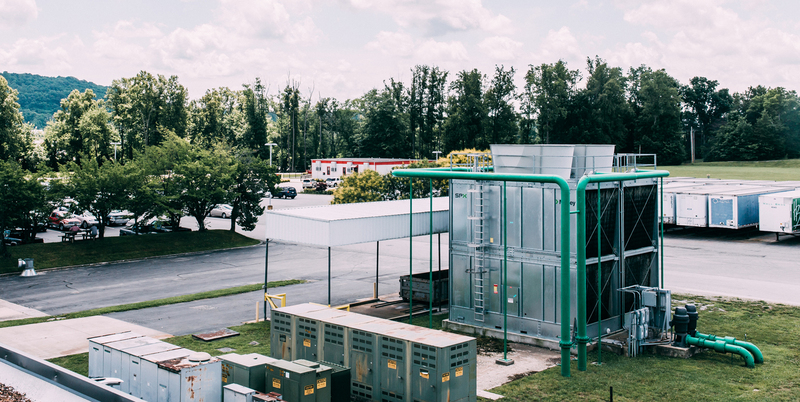 Our service technicians have the capabilities to troubleshoot and service a wide variety of mechanical equipment including: chillers, boilers, air dryers, pumps, dehumidification equipment, building automation controls and several other types of HVAC systems. Carwile Mechanical's service department offers a wide variety of preventative maintenance agreements designed to meet the customer's needs in keeping their equipment running at peak efficiency as well as extending unit life. "We had just built a small home and wanted to compare the Mitsubishi slim units and regular vented systems. We called Carwile because they did both. We did get quotes from at least one other company. We were very impressed with the knowledge and professional way Carwile treated us and decided to hire them. We were so delighted with their work and product that we built on and had them install two more Mitsubishi units. They were always on time, quick to answer and bent over backwards to make us happy. They do an excellent job, and we have recommended them to everyone we know! Do yourself a favor and go with the best around!" "Since 1974, Carwile Mechanical, in addition to regularly scheduled services, has quickly answered our emergency calls in freezing weather and in 90-degree-plus weather, usually when we have had a houseful of family. The service techs are exceptionally polite, personable, friendly, respectful and well-trained. We could not be more pleased." "I’ve been involved with industrial maintenance and operations for over 40 years. I have worked with Carwile Mechanical for most of those years involving everything from a simple duct change to keep an employee comfortable to a major plant expansion involving HVAC, process piping and cooling towers. Many things have changed during that time. The one thing that has remained constant is the dependability, honesty, knowledge and professionalism of Carwile Mechanical. I consider them more of a business partner than a service company. They have truly helped me have a successful career." Whether you have a single uncomfortable room, you’re renovating your entire house, or you’re building a home from scratch, Mitsubishi Electric has a Zoned Comfort Solution™ that fits your unique needs. Because our systems focus on individual living spaces rather than treating every room the same, it’s more customizable, more energy efficient and easier to install. Call Carwile Mechanical, the only Diamond Preferred Contractor in the area, for more information. VIAM Manufacturing has a multiple-building campus in Manchester, Tennessee. VIAM has partnered with Carwile Mechanical's service department to provide them with a preventative maintenance program on all their facilities, as well as to provide emergency service on critical pieces of equipment. VIAM also looks to Carwile Mechanical to provide them with emergency plumbing services. Aphena Pharma Solutions is a pharmaceutical packaging company that relies on Carwile Mechanical to service not only their HVAC equipment, but also their process equipment. Aphena Pharma Solutions chose Carwile Mechanical based on our ability to work in a highly scrutinized environment and still provide needed services on time. Our service department has worked with Aphena Pharma Solutions on several projects that required tight temperature and humidity control. Premier Medical has been looking to Carwile Mechanical for several years as their service provider. Carwile has put together a trackable maintenance program for Premier Medical that allows them to prolong the life of their equipment as well as make informed decisions about what equipment needs replacing and when. © 2019 Carwile Mechanical Contractors, Inc. All rights reserved. Website by WDStone & Associates.